Chad Rosen is not a Kentuckian. His roots were planted in Southern California until nearly 4 years ago. When hemp pilot projects became available through a provision of the Farm Bill of 2014, Rosen could not resist the opportunity to pursue this phenomenal plant and the benefits that it held. Armed with a business management education and a background in marketing and manufacturing, Chad headed to the state of Kentucky. Once arriving in the Bluegrass State, Rosen was instrumental in forming Victory Hemp Foods, a domestic supply chain for hemp foods. Working with small family farmers, the word about hemp began to grow. Today, Victory Hemp Foods offers consumers and food manufacturers products like Hemp Protein, Hemp Oil and Hemp Seeds. Kentucky was eager to see hemp return as a major crop and Rosen is just the man to lead them into the future. 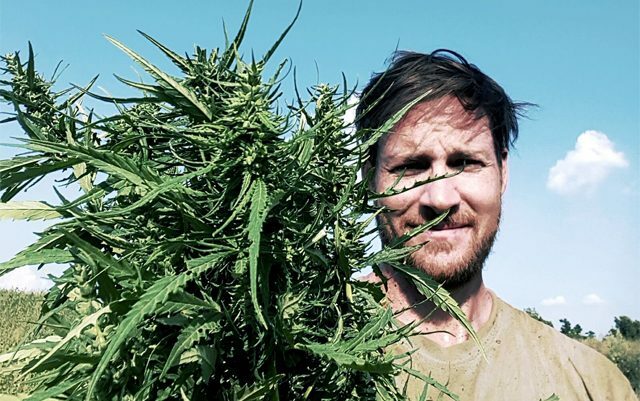 Elected President of the KYHIA in March 2017, Rosen has an unstoppable passion for bringing the nutritional aspects of hemp into the public eye. In speaking with Rosen, the challenges that lay ahead are foremost on his mind. Educating, organizing, and working with state and federal agencies consumes much of his time. Going into its 4th year of participating in hemp pilot projects, Kentucky has over 12,000 acres that will be planted in hemp this spring. Over 30 processing plants have been set up and are active in keeping up with the harvest. Balance this with keeping in compliance with the DEA and USDA, offering educational seminars through the Kentucky Department of Agriculture, searching for funding (banks will not lend money for hemp planting), and keeping up with the supply shortage, Rosen has a lot on his plate. Chad has a positive outlook in the pending federal legislation that removes the classification of hemp as a Schedule 1 drug. The state of Kentucky also recently approved $381,500 in funds for hemp processing. All the while, Rosen is working on increasing the membership and advocacy of the KYHIA to keep people informed and involved. Challenges are many, but each new step forward gives the community hope. Kentucky will be a state to follow in the future with the great team effort of Kentuckians, state legislators and leaders like Chad Rosen. For more information on Kentucky Hemp Industries Association, visit kyhia.org.